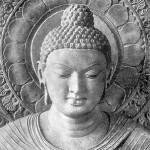 The Mission of the Buddhist Sangha of Bucks County is: To Present, Teach and Practice Buddhism, and To Provide Meditation Instruction and Community Service in a Manner Consistent with the Teaching of the Buddha. From the President: “Knowledge is learning something every day. Wisdom is letting go of something every day” -Zen ProverThis Zen proverb addresses the first part of our Sangha’s mission, “to present, teach and practice Buddhism” and serves to capture the learning that many of us experienced this last year. During this last year, we have not only studied new areas of the Buddha’s teachings, but several Buddhist traditions interpreting those teachings. We have explored Shantideva’s poem “A GUIDE TO THE BODHISATTVA’S WAY OF LIFE, fundamentals of Buddhism, the Four Noble Truths, Karma and compassion, the Four Boundless States, the “Prayer to recognize my own faults and keep in mind the objects of refuge”, and the fundamentals of meditation. We also were blessed to have several visits and teachings from our Tibetan teacher, Lama Gursam, several visits and teachings from Anam Thrubten and Beverly Sanford from the Princeton Buddhist Meditation Group, a weekend retreat from John Orr from the New Hope Sangha, Durham, NC, the return of Jeanne Dillon who led us on several retreats, and our bi-monthly visits from John Wenz, who has been leading us in discussions of Shantideva’s poem. Of special note this year, we held a thank you and goodbye party for James Reis and his wife Jeanne Dillon who have moved to the Boston Mass area. James is the founder of our Sangha. We miss them both and enjoy it when they can visit with us. We have added to our outreach to the community this year by committing to participate in the Family Promise program which works with the homeless and low-income families to achieve sustainable independence. We have continued to participate in Pennsylvania’s road clean-up program, collecting trash along our designated highway in Levittown, Pa. We have reached out to several community organizations to bring awareness of Buddhist teachings. We hosted a very successful interfaith gathering with the local interfaith group. This year we have replaced our original singing bowl with a new, larger bell, added to our number of cushions with the purchase of 4 cushions, and added a simple but effective PA system to help members and visitors better hear our service leaders and guest speakers. We are grateful to board members Susan Harrison and Eugene Pevzner for upgrading our communications and social media presence which include a weekly BSBC e-newsletter listing coming events and special short articles, our website, and facebook page. Louise Wile, our Librarian, has updated our lending library that provides many Buddhist books, periodicals, DVDs, tapes and audio books. Marilyn Picciotti coordinates our outreach to protective shelters for families and animals, and Rika Barrett hosts the road clean-up events.Financially, we began the year (Nov 2013) with a total of $ 3,497.97 and ended the year (Oct 2014) with a total of $ 4,080.50 as shown in Figure 1. Our total income for the year was $ 8,336.50 (this total does not included the balance forward from fiscal year 2013. Our total expenses were equal to $ 7753,97. These expenses included $ 4,680 for our rent for the year was based on $ 90 per Monday evening. We look to the coming year to growing our Sangha, experiencing mindfulness and welcoming speakers to further our understanding of Buddhist teachings and helping individual practices of our members and visitors.